Review: It feels so good to be back at White Cliff Bay, especially as some of my favourite characters from the previous books pop up again in this story. I always enjoy catching up with characters. But if you haven't read the previous two book on the series, do not worry. 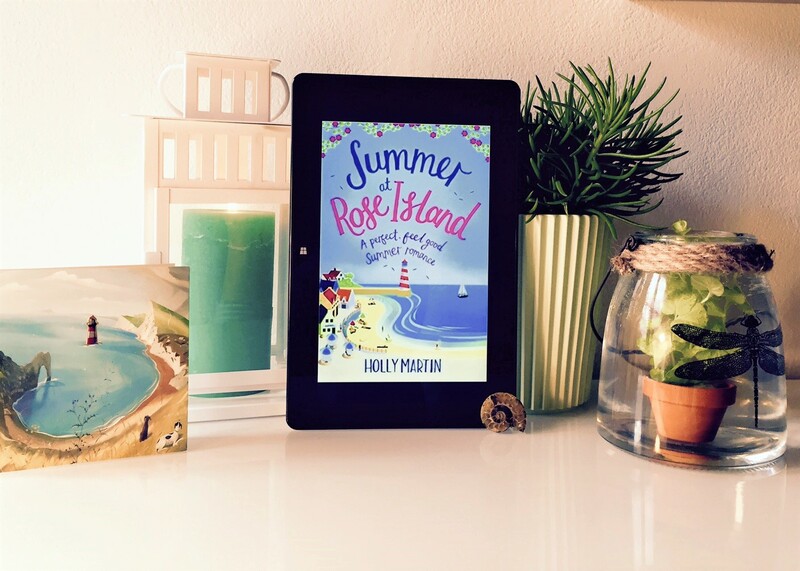 Summer at Rose Island is a stand alone with its own story, so you can just start with this one and then read the others (because if you read this one, you'll want to know more about White Cliff Bay and its lovely community). Something I love about Holly Martin's books is how she always comes up with the most original and fun characters. 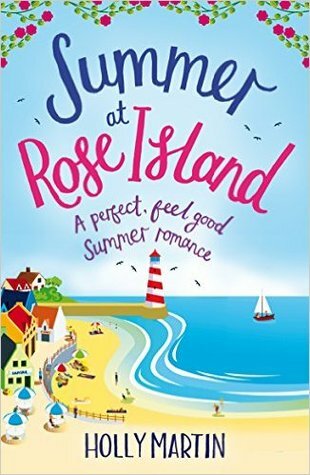 In Summer at Rose Island we've got Darcy, a marine biologist (she no longer works as one but she always tells the most amazing facts about sealife and sharks) and Riley, a song composer from Dallas who now lives in a lighthouse. How cool is that? 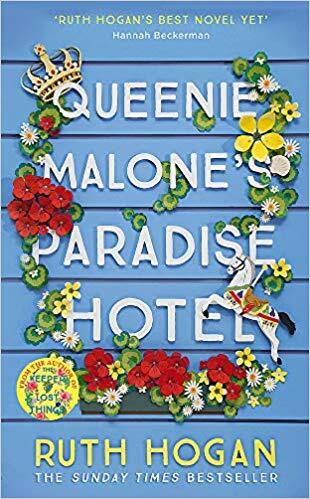 The story focuses on Darcy, who after several job disasters leaves London behind to move to White Cliff Bay and try a new job she doesn't know a lot of because her late aunt used to live and love this place. When she arrives, she is fascinated with the beautiful sea views and the welcoming community and she quickly becomes one more, especially when she decides to help save the beloved lighthouse. That is when she meets its inhabitant, Riley, a solitary cowboy (yes, he even wears a cowboy hat and says ma'am). As you can imagine, sparks fly every time they are close to each other but theirs is not going to be an easy relationship. During the story there's a lot of drama, misunderstandings, noisy neighbours, patronizing relatives and puppies getting in the middle of them, and I enjoyed every bit of it all. 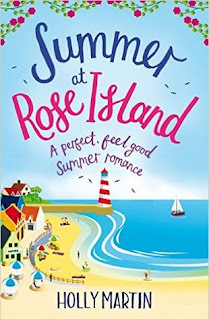 Summer at Rose Island is such a fun read, it had me giggling non-stop during the whole book, but it is also such a deliciously sweet love story too. Holly Martin always makes me swoon and wish her heroes were real and this one is no different. Plus, she makes her stories always one of a kind, adding little details here and there to make them special and shiny. 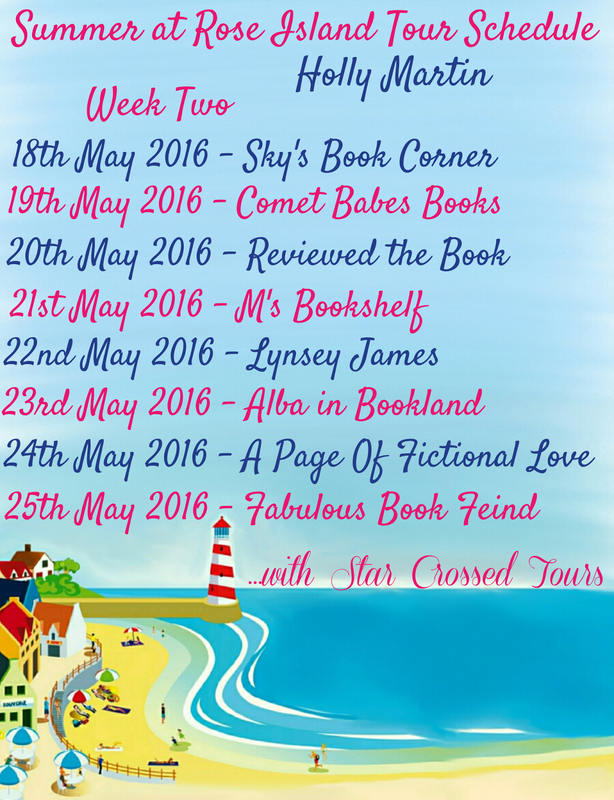 For example, in this one I loved Darcy's passion for the sea and all we learned about it thanks to her. All in all, another winner by Holly Martin, the perfect summer read. I really like the sound of this book but think I will purchase the first in the series.